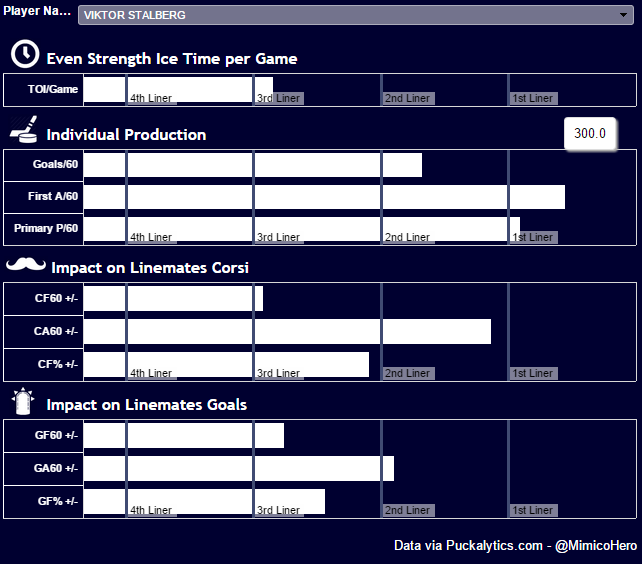 There were no major moves for the Rangers, but Viktor Stalberg was the “biggest” signing for Gorton. Photo courtesy of Joe Camporeale/USA TODAY Sports. While the Rangers didn’t have much cap space to work with going into free agency, Jeff Gorton made the best with what little he had on his first day as the Rangers GM, signing some players for the Wolf Pack, adding a cheap seventh defenseman and a solid depth forward for either the third or fourth line. Jeff Gorton has been waiting for a few years for his chance to run the New York Rangers. Everybody knew that it was going to happen. But nobody knew when. I’m not quite sure which previous moves that Gorton had his hands in, but if yesterday was the first official day on the job, then he made a good first impression. He made little, smart, effective moves to help address some of the Rangers needs. The first day of free agency was highlighted by the signing of recently bought out Viktor Stalberg, a 29 year old left winger with size and a touch of speed. Gorton inked him to a one year, $1.1 million contract. Stalberg joined Nashville after winning the Stanley Cup with the Chicago Blackhawks, but never really had that much success there. He bounced between the NHL and AHL this year, finishing with 10 points (2-8-10) in 25 regular season games. 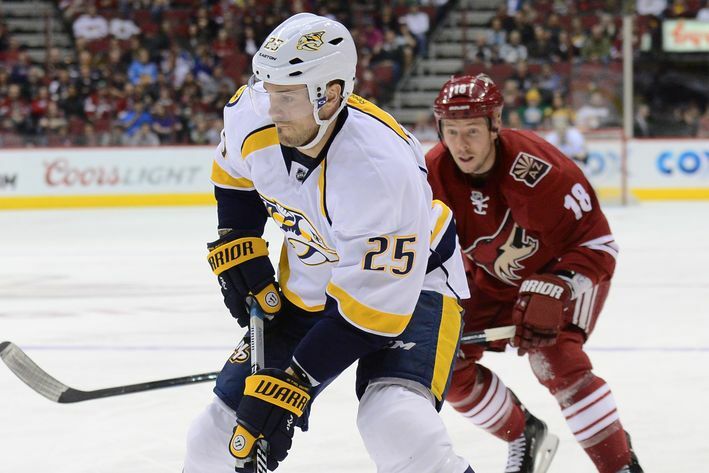 He played all six playoff games for the Predators, tallying a respectable three points (1-2-3). Looking at his points and other general info, you may not be too impressed, but there is more than meets the eye. The Swede is a decent point producer, he’s won a Stanley Cup, and has the right tools to benefit the Rangers’ bottom six. Stalberg should bolster the Rangers bottom six, bringing good skating ability and strong defensive play to the team. Photo courtesy of the Nashville Predators. Everything is going to come right back to Carl Hagelin, who was a big part of the Rangers third line. Stalberg is bigger, which will help in situations in front of the net and around the boards. There is almost nobody in the NHL with the skating ability and speed of Hagelin, but Stalberg is a good skater with some speed to boot. And like Hagelin, he’s a phenomenal defensive forward, and he’ll be a huge boost to the Rangers penalty kill. When delving deeper into the more advanced statistics, the move makes even more sense for the Rangers. Based on the average ice time that he gets, Stalberg has been pretty good in the points department. When he’s on the ice, his line’s possession (CF%) is on par with a solid third line player, but what really stands out is how well he limits opposing possession and scoring chances (CA%). That defensive prowess will either create a dynamic shutdown line with Dominic Moore and Jesper Fast, or add some responsibility to a third line with more offensive upside. 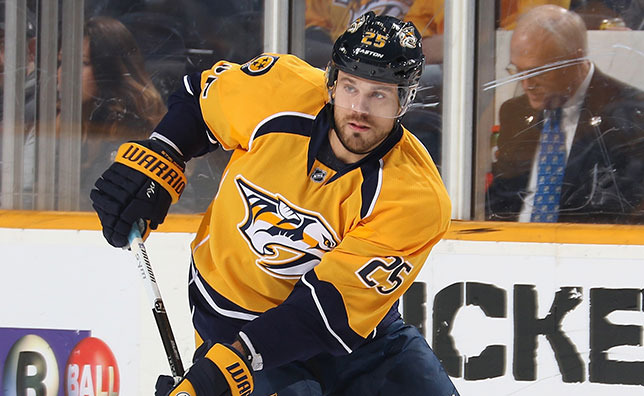 It’s a low risk signing for the Rangers, and Stalberg could wind up being a very effective forward. He’s a much better option than Tanner Glass as the fourth line winger, and could finally push Glass out of the lineup and into a 13th forward role. With Matt Hunwick signing a deal with the Toronto Maple Leafs, the Rangers were in need of an experienced seventh defenseman. So they turned to a familiar face, signing Raphael Diaz to a one year, $700,000 contract. The Rangers turned to a familiar face to fulfill their seventh defenseman needs, signing Raphael Diaz to a one year deal. Photo courtesy of Candice Ward/USA TODAY Sports. Diaz was with the Rangers briefly at the end of the 2013-14 season, appearing in 11 regular season games and scoring a goal and an assist, and playing four playoff games. 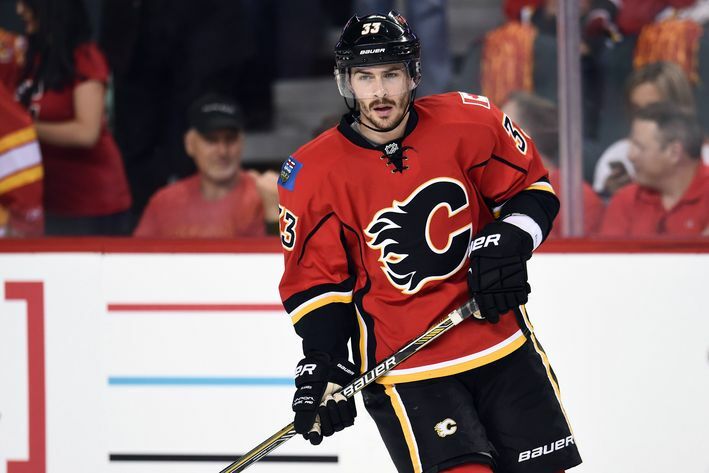 He spent this season with the Calgary Flames, tallying just two goals and two assists in 56 regular season games. He’ll never blow you away offensively, but he does have a strong shot from the point, and he’s good when it comes to suppressing shots and limiting opponent’s chances. He’s more affordable than Hunwick, and will be a decent option to turn to for spot starts and brief injuries. There were a few minor moves made to bolster the Wolf Pack roster, with the Rangers signing three forwards on two way deals. Brian Gibbons, Jayson Megna and Matt Lindblad were all signed yesterday, and they will almost surely start the season in Hartford. It’s nothing exciting, but signing experienced AHL players will help a young Wolf Pack team that made it to the Conference Finals last year. You can read more about them HERE. And lastly, the Rangers traded for 24 year old goalie prospect Magnus Hellberg from the Nashville Predators organization. Hellberg will compete for a spot with Desjardins and Skapski in Hartford, and provides some depth. Desjardins is coming off of an ACL tear and Skapski is out for the next four months following a hip surgery, so Hellberg could help. He’s 6’6”, has shown some promise, and he will help the Wolf Pack while Skapski recovers and in case Desjardins doesn’t bounce back from the injury well. For a sixth round pick, it was definitely worth it. I like what Gorton has done so far. He’s a really smart hockey guy, with an impressive resume, especially during his brief tenure as the Bruins GM. It was a solid start for the first-day GM of the Rangers. Posted on July 2, 2015, in Rangers Updates and tagged Diaz Rangers, Glen Sather, Glen Sather steps down, Jeff Gorton, Jeff Gorton Rangers General Manager, Jeff Gorton Rangers GM, New York Rangers, New York Rangers blog, NHL free agency, NYR, Rangers, Rangers blog, Raphael Diaz, Stalberg Rangers, Viktor Stalberg. Bookmark the permalink. Leave a comment.